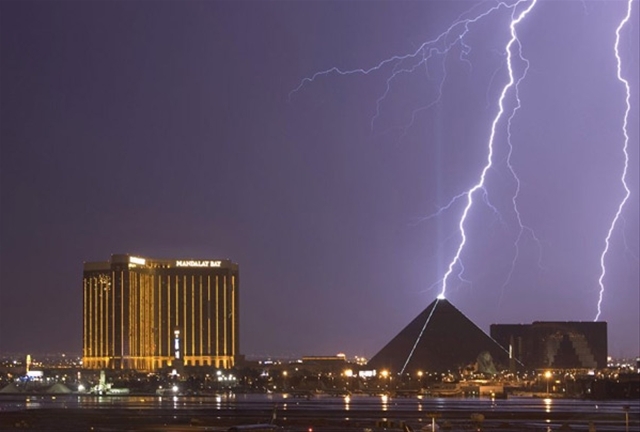 Here is a spectacular shot taken in Las Vegas…. Don’t know if the Lightning actually struck the pyramid or struck somewhere behind it. Although I’m sure a structure that big has a lightning rod system.